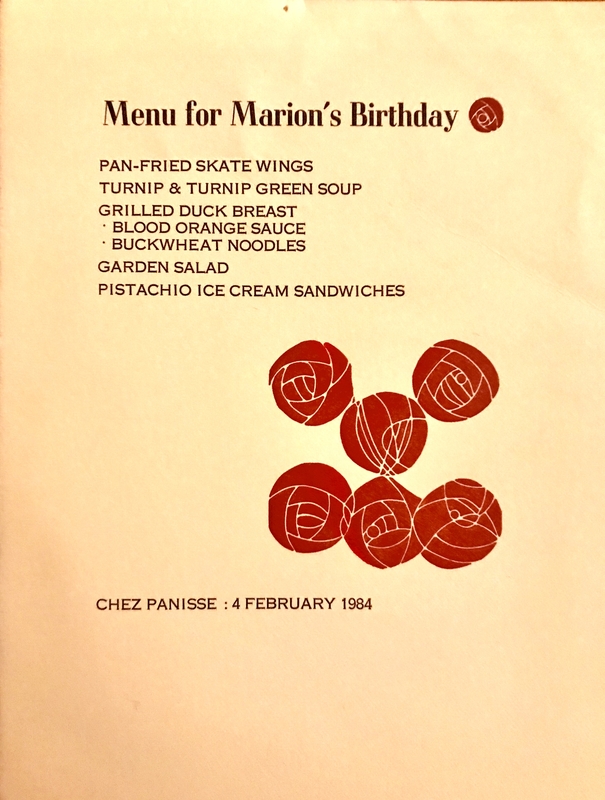 Sounds delicious – was delicious – but looking back, this strikes me as the strangest menu for Marion Cunningham. She, after all, was the woman whose most ardent desire was to be the spokesperson for iceberg lettuce. 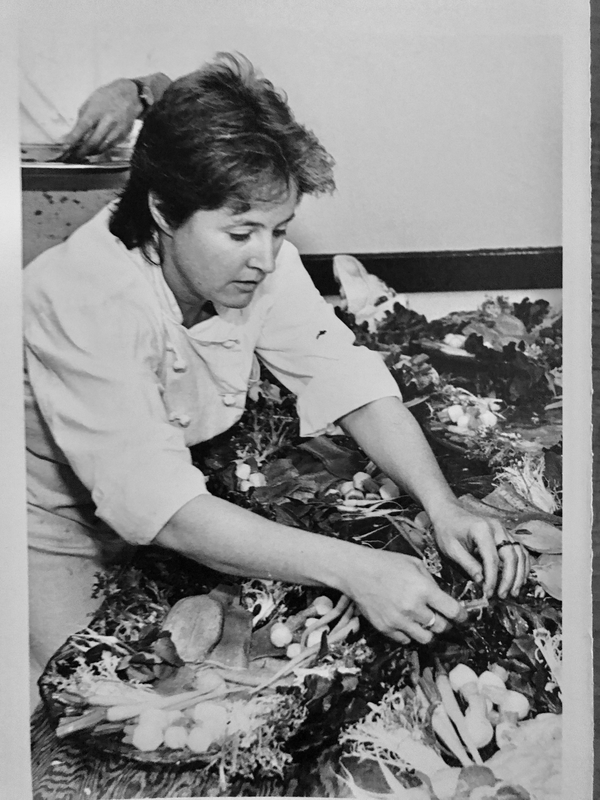 Alice, on the other hand, just wanted to feed her friends perfect little lettuces…. 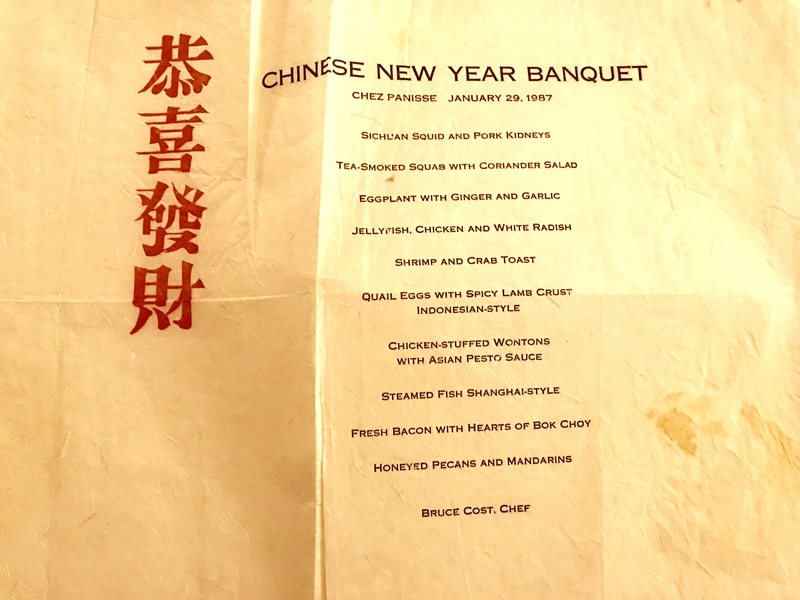 This was one of Bruce Cost’s most memorable meals… I’ve always loved his pork kidneys, which have the texture of clouds, and that fresh bacon is the best kind of dessert. 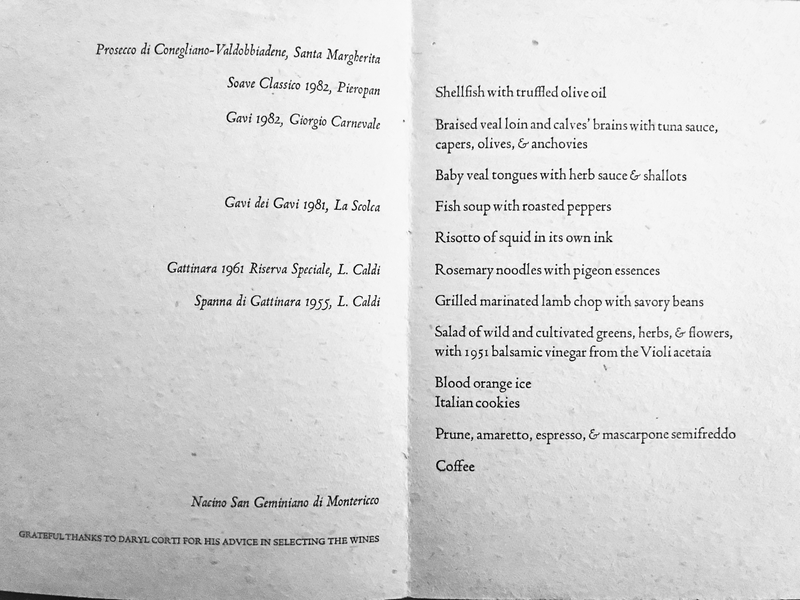 Doesn’t this menu sound wonderful? 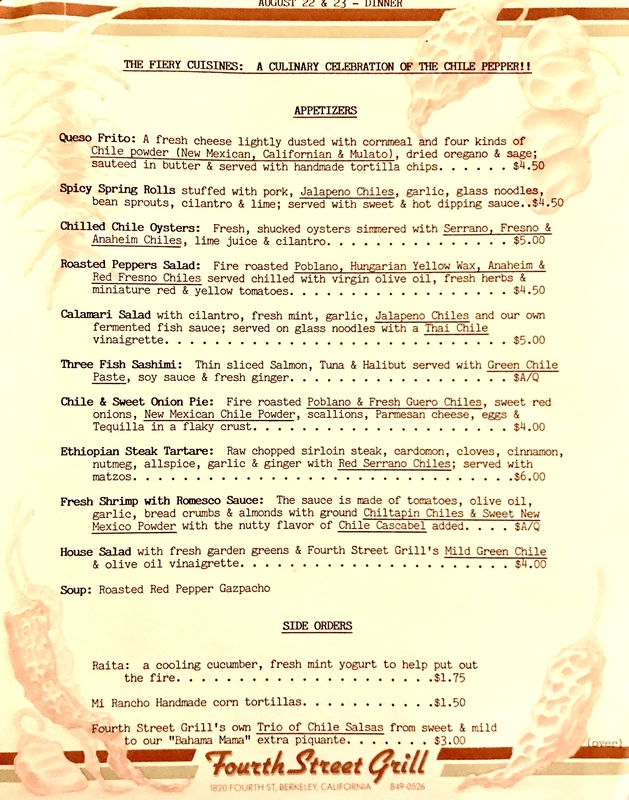 It was particularly nostalgic for me, because I was just about to leave Berkeley and move to LA, and I wondered what I’d find to eat there. Tomorrow, what I found when I got to LA. 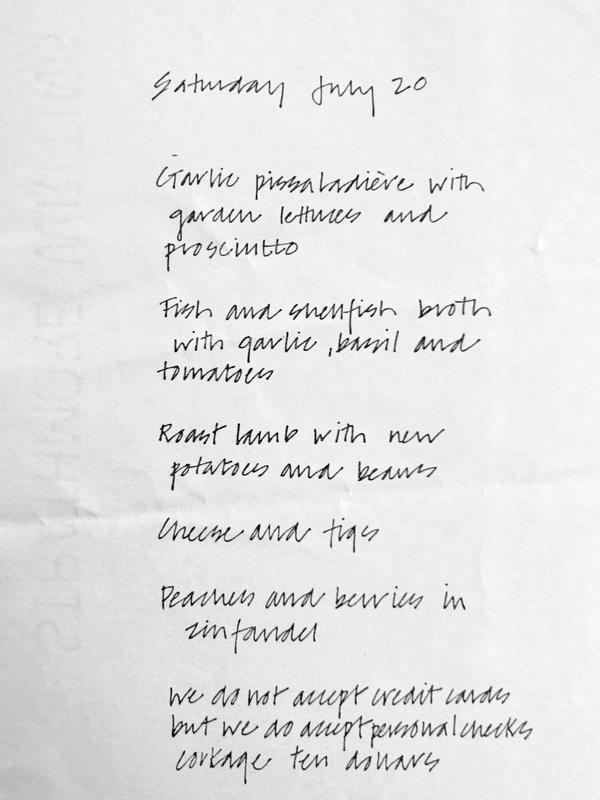 The great Max Au Triangle as well as opening menus from Mandarette, Angeli, Rebecca’s. Every one of them has had an influence on the way we eat today. Ruth — Thank you so much for the wonderful walk down memory lane. 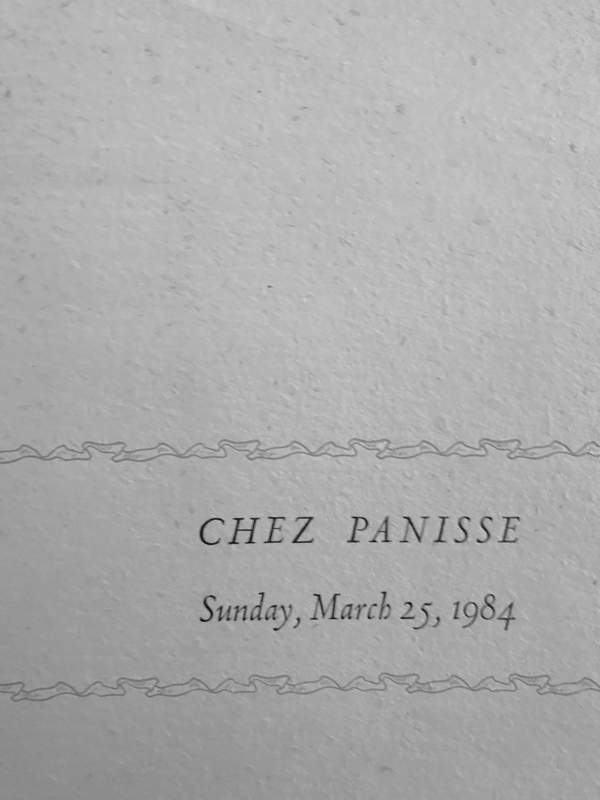 I went to Cal and was a frequent guest at Chez Panisse in early days (and still go). Those were very special times.